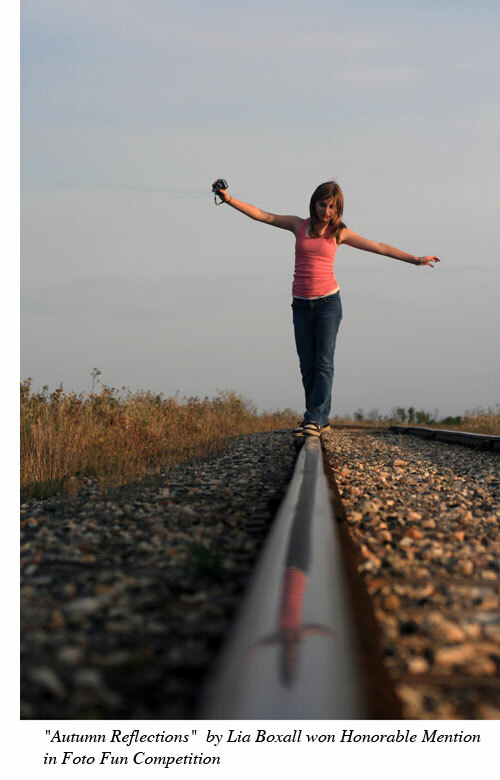 Parkland Photo Club held their September meeting in the Doghide Gallery on Tuesday, September 22. With harvest in full swing in this area, there were only five members present. The meeting was chaired by President Anne McIntosh. Last year there were ten images sent in by club members to the Foto Fun Competition. These were judged and returned to the club. The members viewed these images as judges' comments and the mark for each was read. Lia Boxall received an Honorable Mention for her image "Autumn Reflections". Each member can submit one image to this year's competition - either a slide or digital image. It can be of any subject but it must have been taken in Saskatchewan. 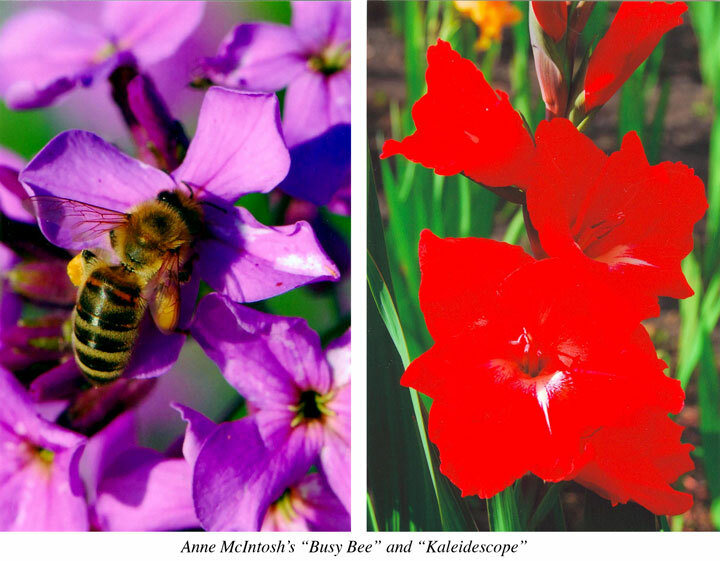 These entries must be sent to Anne McIntosh by October 20. Each club that submits five or more images is then put on the judging circuit for this competition. 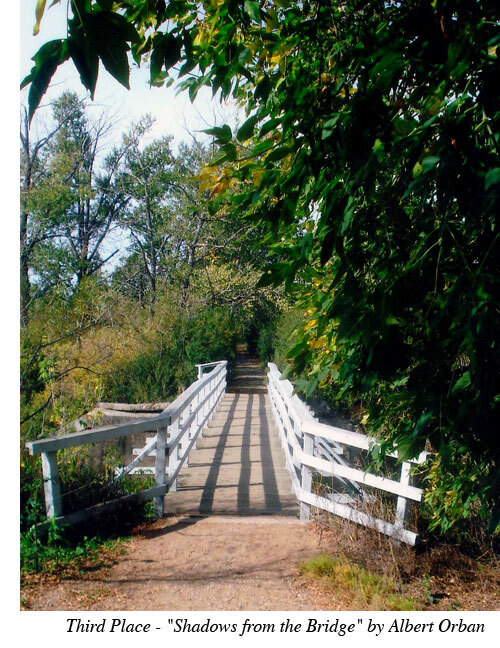 The Chair of Competitions for the Prairie Region of Photographic Arts has requested Parkland Photo Club judge the entries in their Traveling Salon Competition. Members agreed to do this. 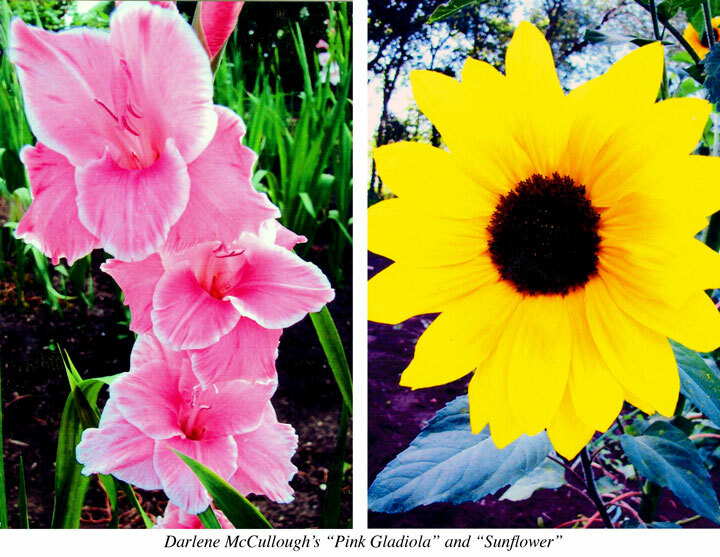 Darlene McCullough and Anne McIntosh had attended the club photo shoot in June that was held at Wendy Derbowka's farm. They each showed five images that they had taken on that shoot and these were discussed by the club members. blooom. Glen Galloway, Darlene McCullough and Anne McIntosh each showed five images that they had taken on this shoot and these were discussed by the members. The monthly theme shoot was "Bridges" and there were four entries. 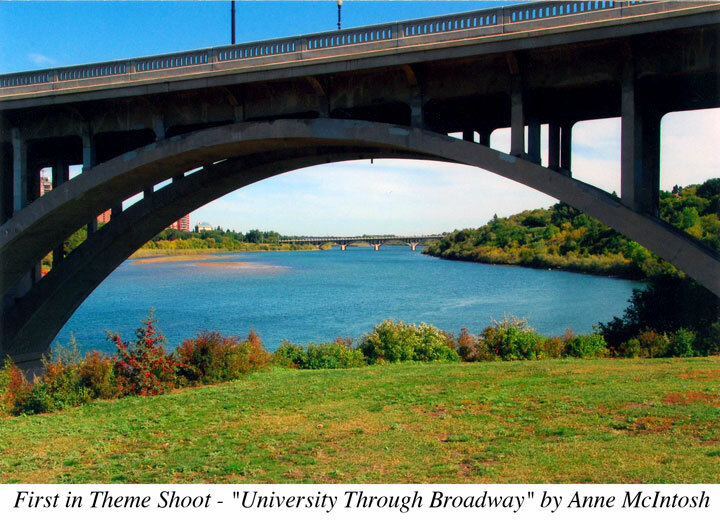 First place went to Anne McIntosh's photo "University Through Broadway". 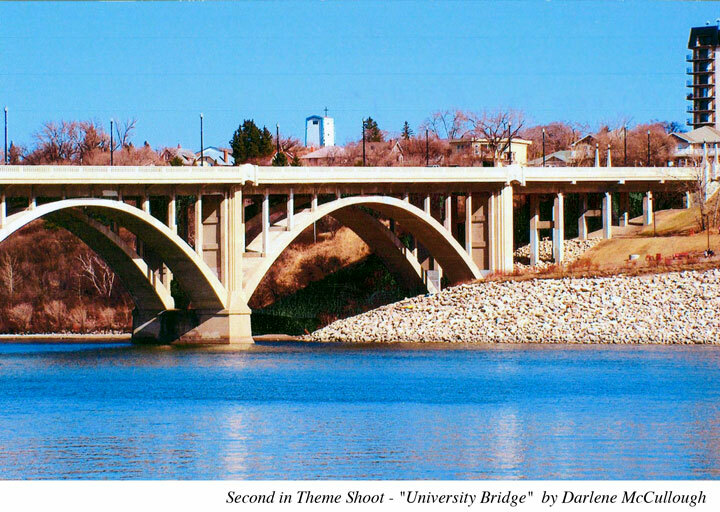 Second place went to Darlene McCullough's "University Bridge". 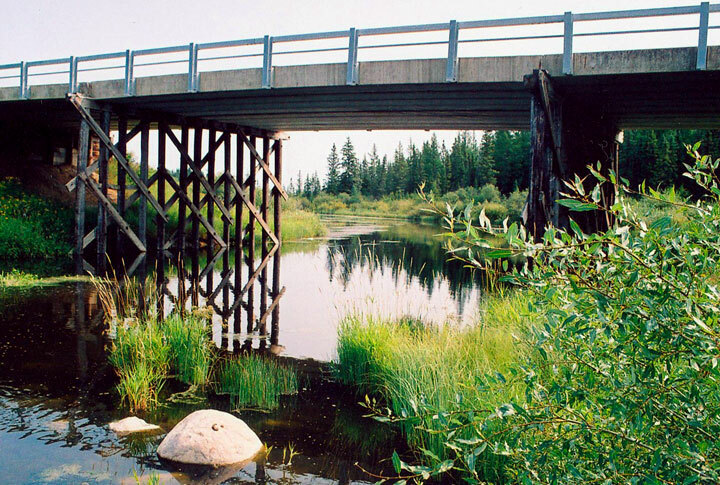 There was a tie for third place between Albert Orban's "Shadows from the Bridge" and Glen Galloway's "Bridge Over Peaceful Water". Alie Neish showed us some of the photos that she and her husband Glen had taken during their cruise to Alaska last June. Thanks for sharing these with us, Alie. Thanks to Anne McIntosh for supplying the lunch for this meeting. The next meeting will be held at 7:00 PM in the Doghide Gallery in Tisdale on Tuesday, October 27. We invite everyone interested in photography to join us then.